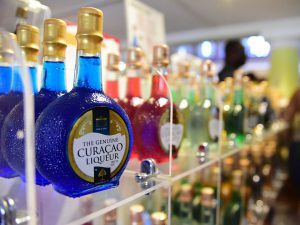 To wrap up our exploration of the ABC Islands, I thought it necessary to make mention of the famous blue liqueur that shares a name with the island of Curaçao. It has become a staple of beach bars everywhere. Although Curaçao comes in various colors – clear, green, red & orange – it is the blue that is most famous. 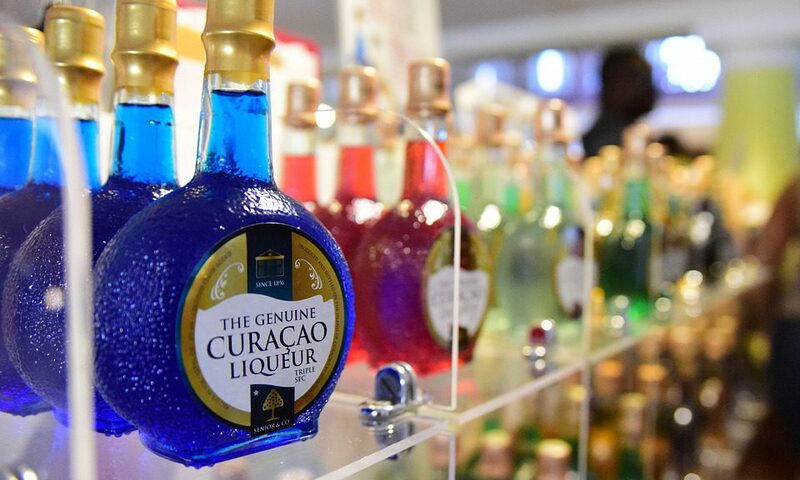 There are various other orange flavored liqueurs on the market that are considered to be Curaçao but have no association with the island. Grand Marnier, for instance, is a cognac based liqueur created in a similar manner. Curaçao is said to have originated on the island when someone discovered that the peels of the laraha fruit produced a distinctive and pleasant fragrance. The laraha fruit is actually the result of the Spaniards’ attempt to import and grow Valencia oranges on the island. To their dismay, the arid climate and soil of the island produced an inedible bitter fruit. 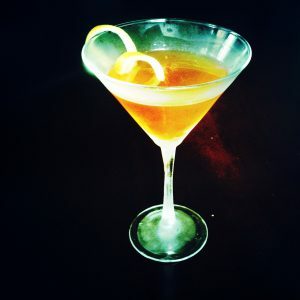 When the peels were infused in brandy, the liqueur was born. The blue color, and green, orange, etc., are created through the addition of food coloring. Senior & Co. are still producing Curaçao on the island at Landhuis Chobolobo, an estate built in the early 1800’s. So what am I using for the ABC Cocktail? A relatively new product on the market from the Cognac maker Pierre Ferrand. Pierre Ferrand Dry Curaçao Ancienne Methode was created by researching old recipes from the 1800’s. It is less sweet than other Curaçaos. I am not a fan of overly sweet drinks, so this is a product that I fell in love with and we have been using it in all kinds of things. So here is my ABC Cocktail- Angostura, Brandy and Curaçao. 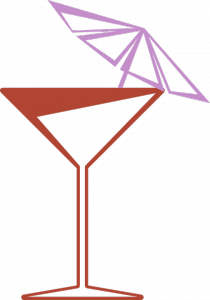 Stir with ice, strain and serve in a cocktail glass with a lemon twist.